Every dog owner wishes the best for his pooch, but there are certain things which are not in our control that can make the life of your tyke very difficult. Heartworm is one such disease that every dog owner needs to be aware about. These parasites get into the dog’s heart and lungs and cause severe illnesses in them like heart failure, lung disease, organ damage and in some worst cases even death. Canines are considered to be the most preferred hosts of heartworms. 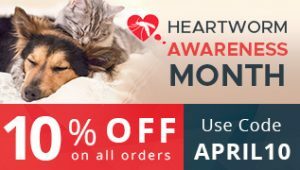 Heartworm originates from mosquitoes that bite any heartworm positive animal and picks up microscopic baby worms known as microfilaria that grow into adult heartworms inside the mosquito. When the infected mosquito bites a dog, the larvae enters in the dog’s body through the bite wounds of the mosquito. It is very difficult to tell whether your tyke is affected by heartworm if he lives a sedentary life and the bad news is even blood test would not be able to detect heartworms in the early stages. But if your doggy is active and the infection is quite severe then he will cough and show tiredness after exercise regimen. Once the heartworm grows in the dog’s arteries he starts losing weight, faints or coughs up blood and in some worst situations even leading to congestive heart failure. Your veterinarian will try his level best to diagnose heartworm disease, but there are certain damages that are irreversible. The treatment is also very stressful on the tyke sometimes needing surgery which is dependent on the severity of the infection. Hence, it is advised to prevent the disease. But which heartworm preventive treatments are considered to be best in our country? Let us have a closer look at them. It is an oral chewable tablet loved by dogs of all breeds. It contains Ivermectin and Pyrantel pamoate which not only assists in treating roundworms and hookworms, but also preventing heartworm disease in dogs. These two ingredients destroy the tissue stage of heartworm larvae, thus keeping the pooch safe from the disease. Sometimes dog owners are apprehensive about using this preventive treatment on herding breeds like collies and German shepherd as they are sensitive to Ivermectin. The truth is that it requires high dosage of Ivermectin to stimulate a reaction. With the recommended dose you can rest assured it is safe for all dog breeds. It is a small chewable tablet highly palatable in taste. Milbemycin oxime and praziquantel are the two ingredients present in the tablet that blocks the growth of heartworms by destroying its larval and other immature stages thereby hampering their reproductive process. This monthly treatment also protects dogs from all types of gastrointestinal worms and heartworms. If your pooch does not eat the tablet mixed in their food you can give it orally since the beef flavor in it is loved by dogs. It controls various internal and external parasites encompassing fleas, heartworms, intestinal worms, ear mites, sarcoptic mange and chewing lice. So you can now give signal tablet and protect your dog from various parasites. Imidacloprid and Moxidection present in the treatment attacks the neurotransmitters of parasites and paralyzes them. It also protects your dog from heartworm infection. It is a little pricey, but you can get it at a reasonable price by availing coupons and discounts from a reputed online store. This monthly topical treatment treats fleas, ticks, sarcoptic mange and ear mites in dogs and controls heartworms too. Salamectin present in the treatment kills heartworm larvae in puppies, adult dogs, breeding and lactating female dogs. But ensure that you administer monthly dosage of the treatment on the same day. This meat flavored tablet is loved by all dog breeds. Ivermectin present in this oral treatment destroys the immature stages of heartworms thereby disrupting their population. 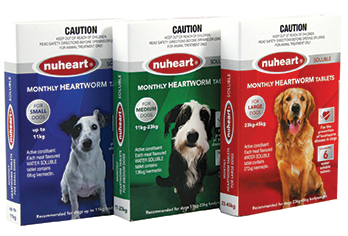 It controls heartworm infestation and protects dogs from heartworm disease. You can even mix this tablet in the dog food or give it orally to your furry pal. 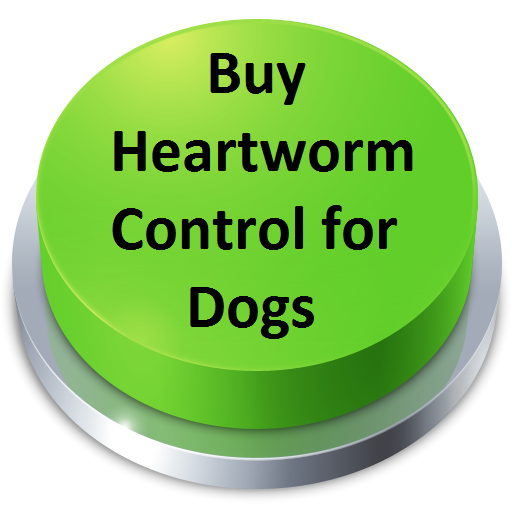 So which heartworm preventive treatment are you planning to get for your canine today?